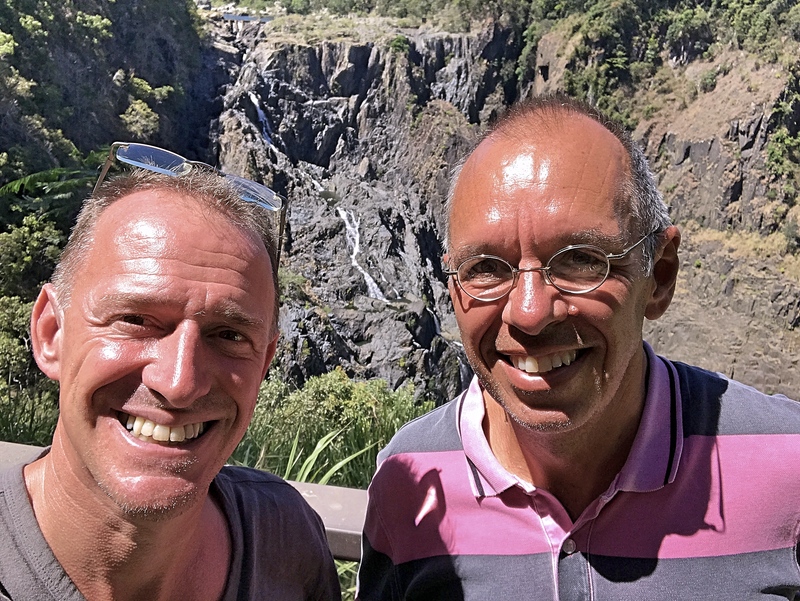 We’re spending a couple weeks here in Queensland (yeah, cue the jokes: the two of us moving from Queenstown to Queensland..) and one of the things you learn is just how big this state is. As in BIG. Bigger than Alaska, by far the biggest state in the U.S. In fact, according to a list on Wikipedia, Queensland is the sixth-biggest national subdivision in the world, behind such behemoths as Greenland and a couple of what we would call Russian provinces. So there’s plenty to explore here. 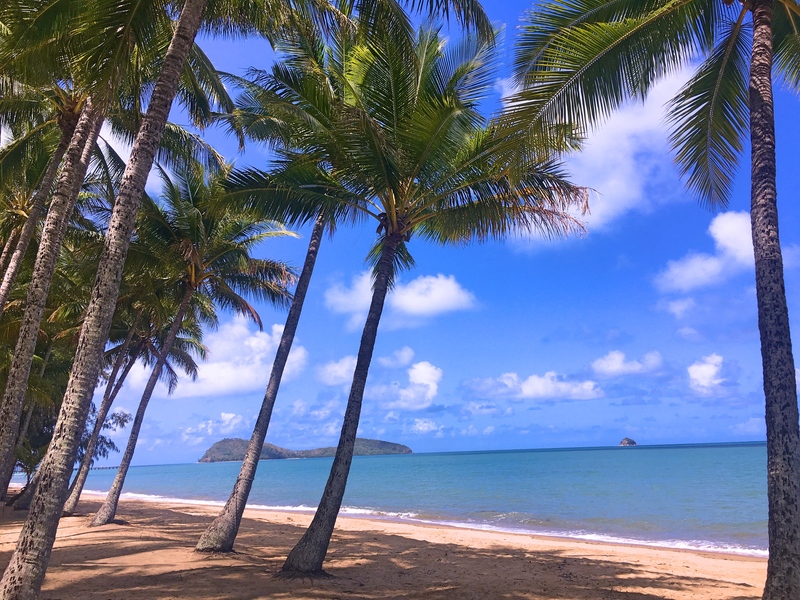 Our next stop was Palm Cove, a little tourist-centered beach community a little south of Mossman (and thus just a little north of Cairns). 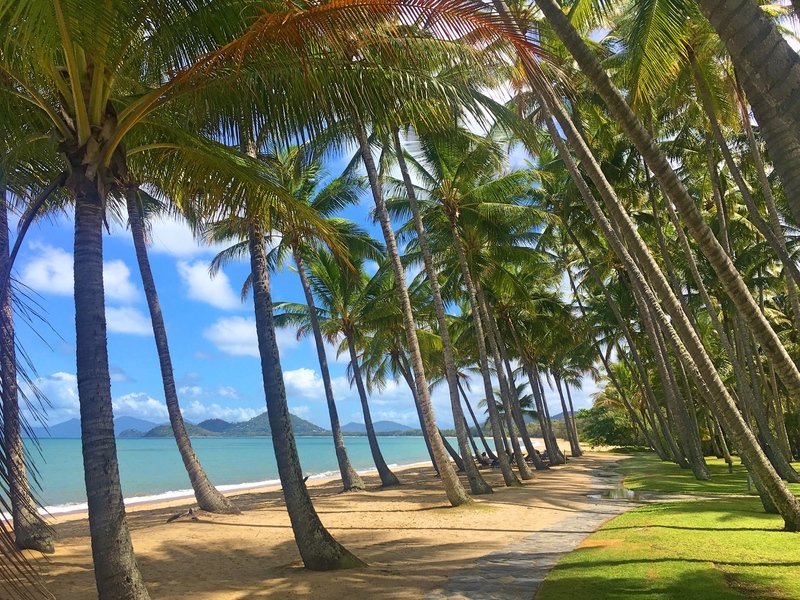 What’s most obvious about Palm Cove is the beautiful Coral Sea, seemingly a paradise with the white sand beach, blue water, and swaying palm trees. 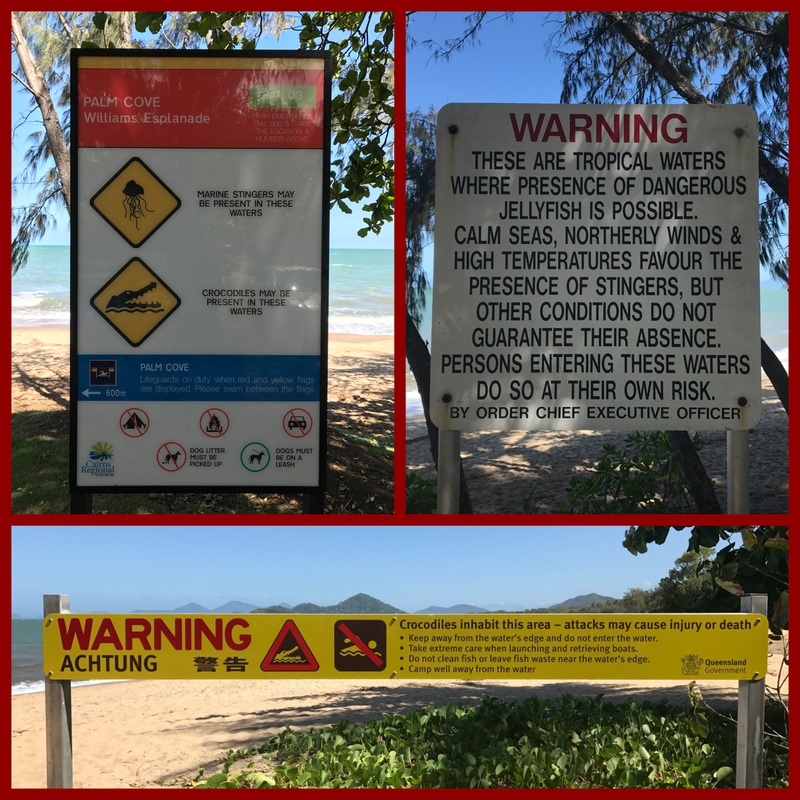 What’s less obvious about Palm Cove is that you’ll likely die if you go in the water. OK, maybe that’s a little overstated, but perhaps not much. Crocodiles infest the water near shore but, according to at least one local we talked with, they’re pretty unusual. The real problem this time of year is the infestation of poisonous jellyfish. As the temperatures rise, both air and sea, the jellyfish move in and their sting is potentially fatal. You only go in the water with full wetsuits which means, in practice, that no one goes in this time of year. Lots of biking and walking and jogging along the trails, but for those of us who don’t want to die too soon, no swimming. Is it really a beach if you can’t go in the water? What do you do if you’re in a beach town but can’t enjoy the beach beyond looking at it? Well, the hotels have nice pools, and you can still read and walk around. 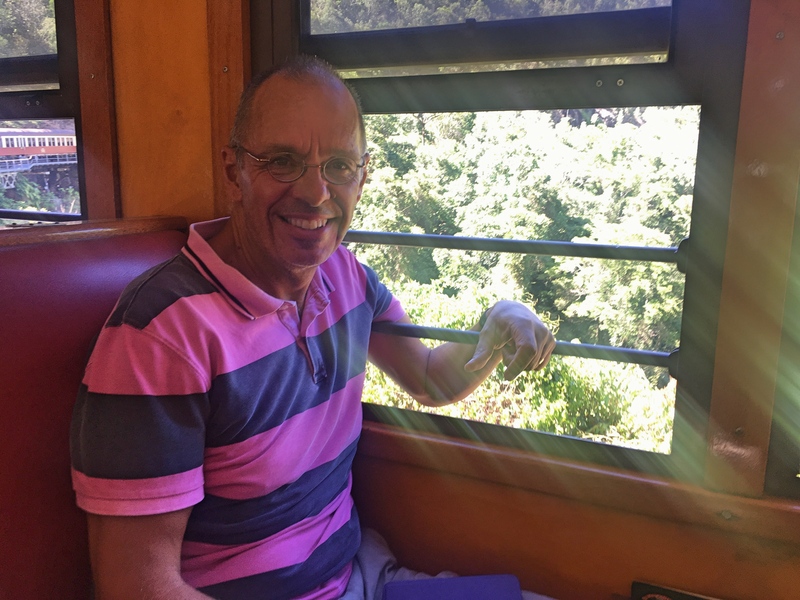 And we did this cool day trip, the Skyrail Rainforest Cableway. What’s a skyrail? 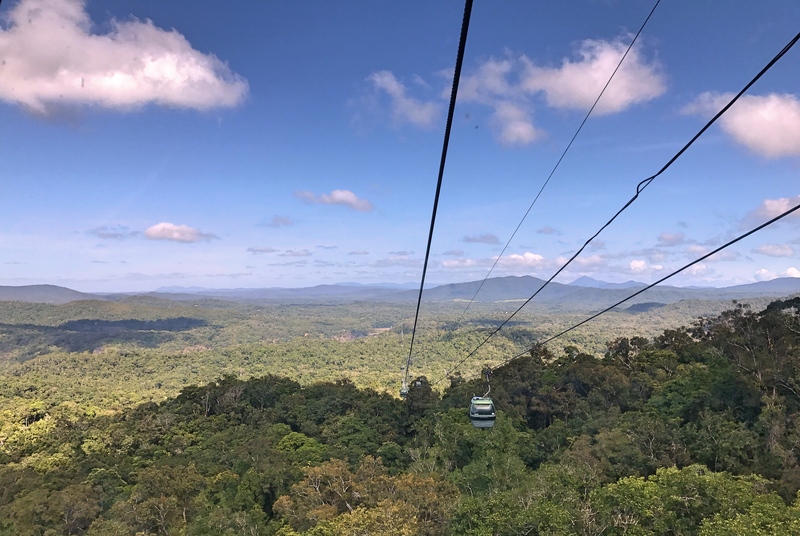 Well, it’s a cableway spanning nearly five miles up and over the wet tropics rainforest with a couple stops along the way for short little walks. 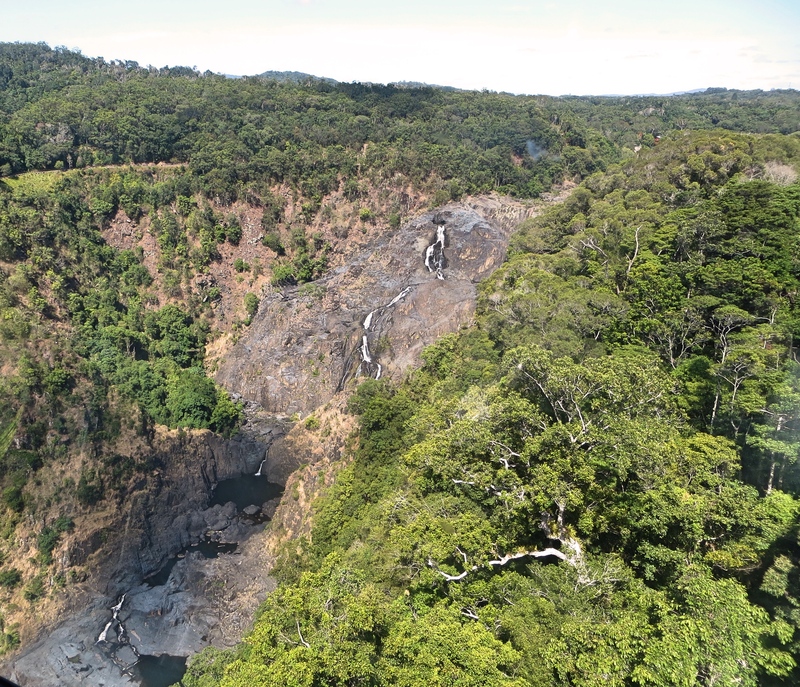 The town of Kuranda, a tourist destination since the early 20th century as a somewhat cooler alternative to Cairns’s summer heat, is at the end. 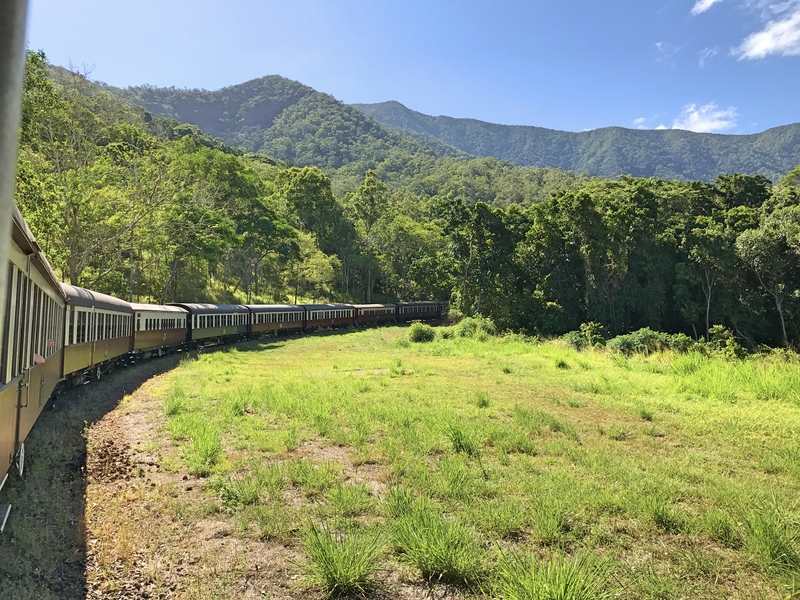 There you can shop, have a beautiful walk through the rainforest and then along the Barron River, and have a decent lunch before getting on a scenic slow train back down to the coast. Thus “skyrail.” We were distinctly skeptical, knowing there was a chance it would be cheesy-touristy but it turned out to be a lot of fun. Those are seriously bad restaurant ratings. Thank God TripAdvisor saved us from the looming lunch disaster. Of course, the “decent lunch” part of that is premised on finding the right place. We walked around a bit and saw one place that looked good: decent menu, nice setting, reasonable prices. We were going to just stop in but decided to check it out on TripAdvisor first. Good thing. We’ve never seen a place trashed so consistently with Terrible ratings vastly outpacing any other categories. The reviews included words and phrases like “disgusting,” “vile,” “worst food ever,” “ridiculously overpriced,” and, my favorite, “seriously horrible.” We found someplace else to eat. We’re in Queensland for another week or so before heading to Sydney for Christmas. 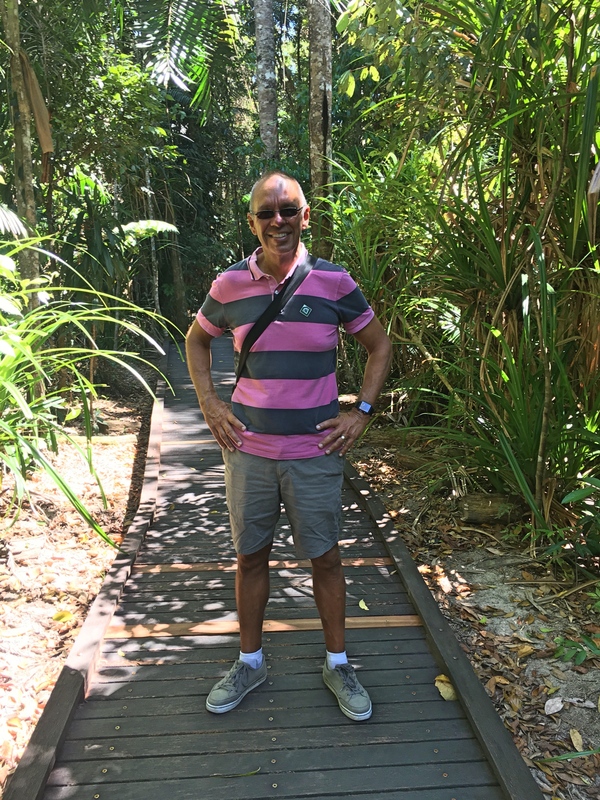 Meanwhile, some more pictures from Palm Cove and the skyrail. 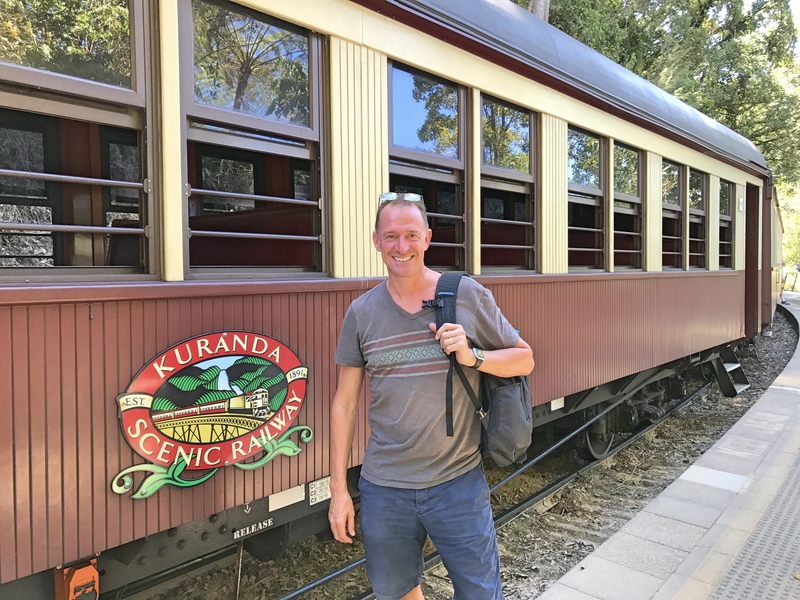 Mark as we prepare to set off on the Kuranda Scenic Railway. Originally built to service the mining industry in the area, for decades now it is primarily a tourist attraction. I loved the old-school feel of it, particularly the open windows! 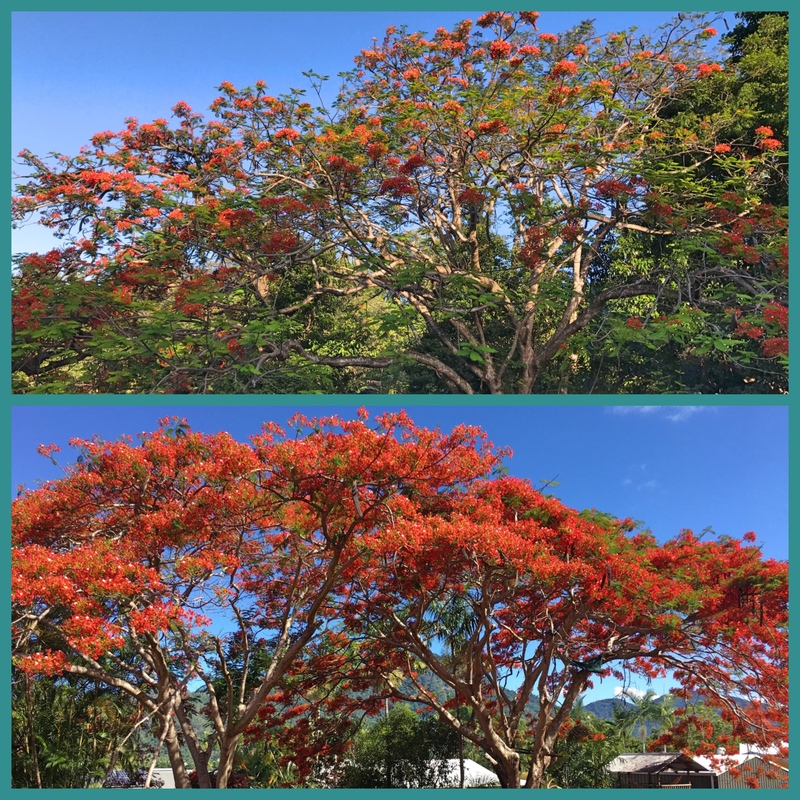 And what blogpost from Queensland in the spring would be complete without pictures of flame trees?